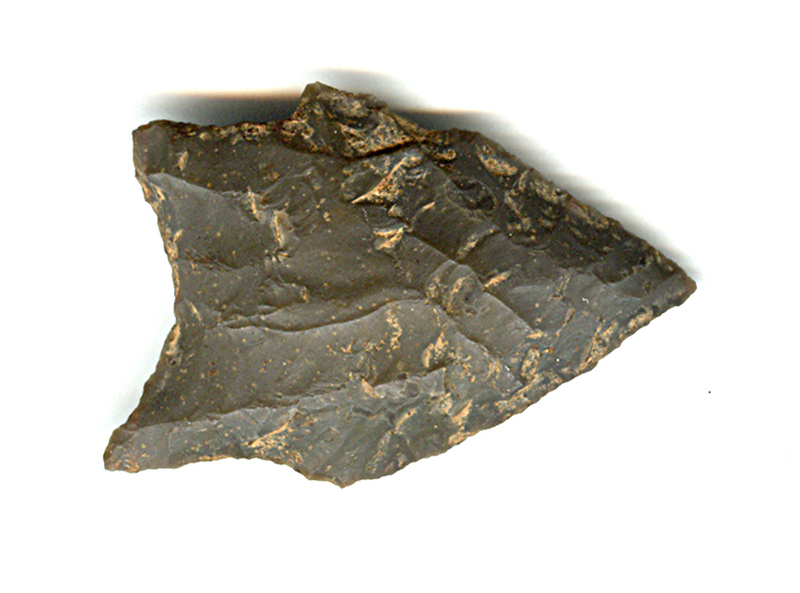 A Normal Size, Visibly Aged And Anciently Use Sharpened, Well Made Johnson Point That Exhibits Stone Age Coloration & Surface Frosting Patination, Heavy Aged Soil Deposits, Correct Rolled Basal Stem Hafting Dulling, Correct Basal Thinning, Correct Blade Sharpening Use Reduction, Correct Material & Manufacture For The Area Found. Ex-Jim Bennett Collection. The Johnson Point Was Named By C.S. Bartlett For Examples Found In The Tom's Brook Shelter, Johnson County, Arkansas. Includes A Ken Partain Certificate Of Authenticity!